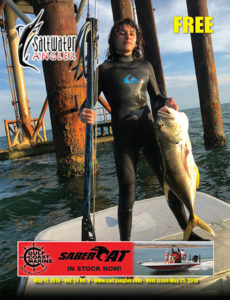 Check out our previous editions of Saltwater Angler Magazine. 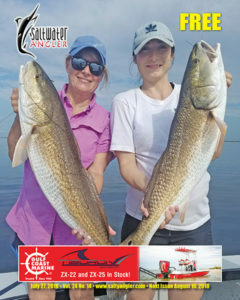 We’ve got Texas and Louisiana fishing reports, articles, photos, and the hottest saltwater fishing spots all over the Gulf Coast. 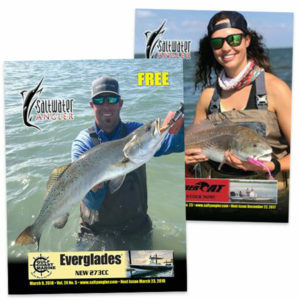 New editions of our fishing magazine published twice a month and available in over 900 stores across Texas and Louisiana. Upper-slot redfish caught in the Shamrock Flats by Nick Jones during late August. The fish ate a kwan style fly that Nick tied. The rod used was an 8wt TFO paired with floating fly line. 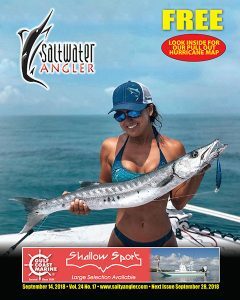 Chloe Turner (from Tyler, Texas) is seen here in Oceanic Gear holding her barracuda she caught in the Florida Keys this past month. She caught it while fishing with Captain Derek Engle. She is also wearing Redtail Republic glasses. She was using a 8 ft- 30 lb Bull Bay rod. The reel was a Shimano Stratic 5000. The bait was an Unfair Lure Stickminno 120. The line was a 30 lb power- pro. Capt. 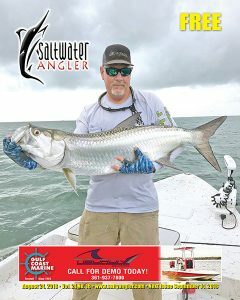 Steve Reed of Laguna Rod & Gun Guide Service with a 48 inch Texas tarpon caught near shore out of Port O’Connor, Texas. Capt. 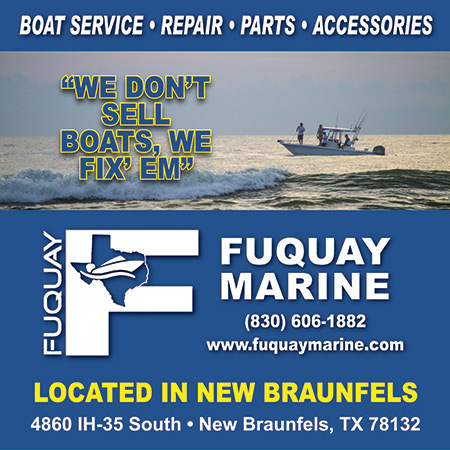 Steve has been a fishing and hunting guide for 28 years, and represents several great Texas companies: Mowdy Boats of Texas, Twilight Metal Works, Plashlights, Coastline Trailers, Fishhide Sportswear, Suzuki Outboards, Minn Kota Trolling Motors, Hummingbird Electronics, Anglers Anonymous (one of the premier saltwater tackle shops), Down South Lures, and Laguna Custom Rods. Chris Castro of Next Level Fishing TV CPR’s an 87″ sailfish after launching off the beach in Corpus Christi. The sailfish chose to eat an undisclosed live bait presented on a stinger rig. 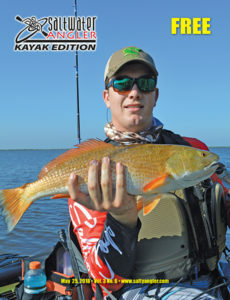 For Texas kayak anglers, this is the holy grail of saltwater fishing. Chris represents some of the best kayak companies in the world and this could not have been done without their support. YakGear, Railblaza, Pro Angler Tackle, LineCutterz, Leg Luggage, Tailin’ Toads, McCain Fishing. His local terminal tackle HQ is Fisherman’s Place in Corpus Christi. This sailfish was landed off the NEW Ocean Trident 15. Chris Sessions with a big amberjack, mid to early May 2018 on live bait in the Ranzel area, on the FISH & FUN II. Capt. Joey Farah with a giant Texas snook! This fish was 32″ long and caught on a DOA 5.5 jerk bait. 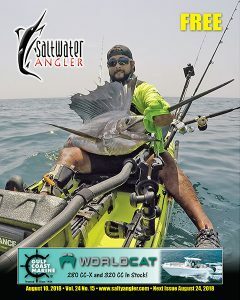 Watch the release on Facebook at Joey Farah’s Backwater Fishing. 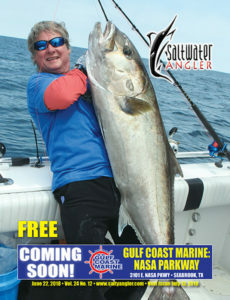 Get the Saltwater Angler delivered right to your door and never miss the latest fishing reports, hot spots, and more! 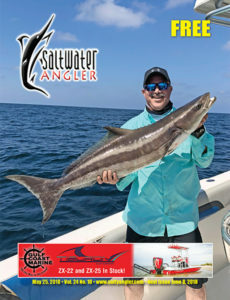 Join us on Facebook and Instagram for the latest saltwater fishing news, photos and stories from your fellow anglers, fishing reports, and more. 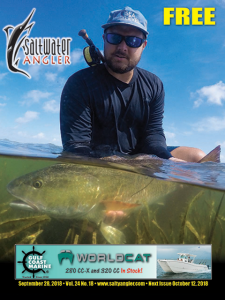 Get the latest Saltwater Angler editions, specials from our advertisers, and more right in your inbox. Thank you! You have successfully subscribed to our email list. We have writers from all over Texas and the Gulf Coast covering everything from conventional to fly fishing, wading, beach, surf, jetty, kayaks and more. 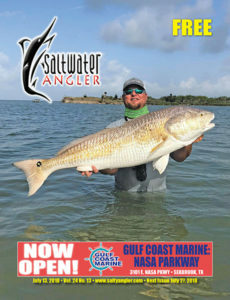 Saltwater Angler Magazine is a free fishing magazine for the Gulf Coast, with Texas and Lousiana saltwater fishing reports, stories, the latest hot spots, and more. 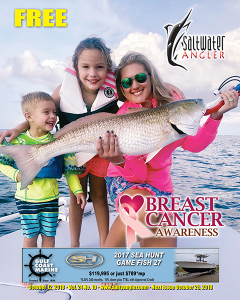 Get it delivered right to your door, or pick up our free saltwater fishing magazines at over 900 locations in Texas and Lousiana. Send us your photos to be published in our upcoming editions and online!